Although previous research has been mixed, yet another study confirms what many vapers have been saying all along; that electronic cigarettes are highly effective for smoking cessation. 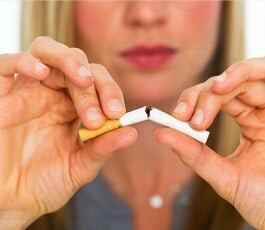 In the study, researchers found that people who were trying to quit were 63% more likely to succeed with electronic cigarettes than those who used OTC nicotine replacement therapies (NRT) such as the patch or gum, and 61% more successful than those who used no smoking cessation aids at all. Unlike previous studies that looked at electronic cigarette users in general, including those with no desire or intention to quit, the latest research specifically evaluated users trying to kick the habit, and the results were overwhelmingly positive. The study, published in the May 20th journal of Addiction, is just another indication that electronic cigarettes may be a useful tool in smoking cessation. “It appears, at least for some people, e-cigarettes are a viable method of quitting that looks comparable to, if not better than, traditional nicotine replacement therapy,” said Dr. Michael Siegel, a professor of community health sciences at Boston University School of Public Health. This isn’t the first study concerning e-cigs and smoking cessation, and it probably won’t be the last. Earlier this year, a study from JAMA Internal Medicine suggested that electronic cigarettes do not help users curb or quit smoking, but it’s important to note that researchers looked at a general pool of e-cigarette users, even those with no intentions to quit. 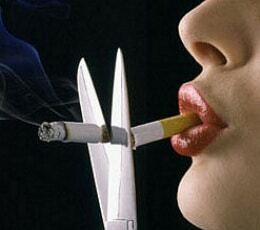 The latest study looked specifically at users try to quit smoking and compared it to various other methods. 2013 Addictive Behaviors Study – E-cigarettes may contribute to relapse prevention in former smokers and smoking cessation in current smokers. 2013 Lancent Medical Journal Study – Determined that e-cigarettes were modestly effective at helping smokers to quit, equivalent to nicotine patches. 2013 PLoS ONE Study – E-cigarettes decreased cigarette consumption and elicited enduring tobacco abstinence without causing significant side effects. 2012 Society for Research on Nicotine and Tobacco – E-cigs deliver similar levels of nicotine and reduce exposure to combustion toxicants after switching from tobacco. 2011 Boston University Study – Electronic cigarette use significantly reduced tobacco cravings, a similar effect to what has been observed with nicotine inhalers. 2011 BioMed Central Public Health Study – Concluded that smokers substantially decreased their cigarette consumption (without significant side effects) with e-cigs. 2010 Tobacco Control Study – Found that e-cigarettes alleviated users desire to smoke and had a ‘pharmacokinetic profile’ more like the Nicorette inhalator than tobacco.